Mack Sennett (born Michael Sinnott; January 17, 1880 – November 5, 1960) was a Canadian-born American director and actor and was known as an innovator of slapstick comedy in film. During his lifetime he was known at times as the "King of Comedy". His short Wrestling Swordfish was awarded the Academy Award for Best Live Action Short Film in 1932 and he earned an Academy Honorary Award in 1937. Born Michael Sinnott in Richmond Ste-Bibiane Parish, Quebec, Canada, he was the son of Irish Catholic John Sinnott and Catherine Foy, married 1879 in Tingwick St-Patrice Parish (Québec). The newlyweds moved the same year to Richmond, where John Sinnott was hired as a laborer. By 1883, when Michael's brother George was born, John Sinnott was working in Richmond as an innkeeper; he worked as an innkeeper for many years afterward. John Sinnott and Catherine Foy had all their children and raised their family in Richmond, then a small Eastern Townships village. At that time, Michael's grandparents were living in Danville, Québec. Michael Sinnott moved to Connecticut when he was 17 years old. In New York City, Sennett became an actor, singer, dancer, clown, set designer, and director for Biograph. A major distinction in his acting career, often overlooked, is the fact that Sennett played Sherlock Holmes 11 times, albeit as a parody, between 1911 and 1913. Mack Sennett's slapstick comedies were noted for their wild car chases and custard pie warfare especially in the Keystone Cops series. 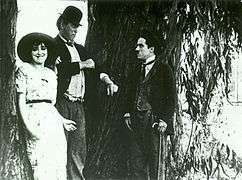 Additionally, Sennett's first female comedian was Mabel Normand, who became a major star under his direction and with whom he embarked on a tumultuous romantic relationship. Sennett also developed the Kid Comedies, a forerunner of the Our Gang films, and in a short time his name became synonymous with screen comedy which were called "flickers" at the time. In 1915, Keystone Studios became an autonomous production unit of the ambitious Triangle Film Corporation, as Sennett joined forces with D. W. Griffith and Thomas Ince, both powerful figures in the film industry. Also beginning in 1915, Sennett assembled a bevy of girls known as the Sennett Bathing Beauties to appear in provocative bathing costumes in comedy short subjects, in promotional material, and in promotional events like Venice Beach beauty contests. Two of those often named as Bathing Beauties do not belong on the list: Mabel Normand and Gloria Swanson. Mabel Normand was a featured player, and her 1912 8-minute film The Water Nymph may have been the direct inspiration for the Bathing Beauties. Although Gloria Swanson worked for Sennett in 1916 and was photographed in a bathing suit, she was also a star and "vehemently denied" being one of the bathing beauties. Not individually featured or named, many of these young women ascended to significant careers of their own. They included Juanita Hansen, Claire Anderson, Marie Prevost, Phyllis Haver, and Carole Lombard. In the 1920s Sennett's Bathing Beauties remained popular enough to provoke imitators like the Christie Studios' Bathing Beauties (counting Raquel Torres and Laura La Plante as alumnae) and Fox Film Corporation's "Sunshine Girls" (counting Janet Gaynor as alumna). The Sennett Bathing Beauties would continue to appear through 1928. 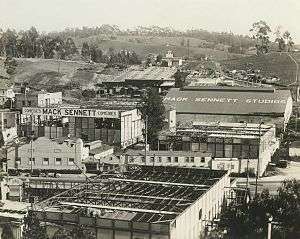 In 1917, Sennett gave up the Keystone trademark and organized his own company, Mack Sennett Comedies Corporation. (Sennett's bosses retained the Keystone trademark and produced a cheap series of comedy shorts that were "Keystones" in name only: they were unsuccessful, and Sennett had no connection with them.) Sennett went on to produce more ambitious comedy short films and a few feature-length films. During the 1920s, his short subjects were in much demand, featuring stars like Billy Bevan, Andy Clyde, Harry Gribbon, Vernon Dent, Alice Day, Ralph Graves, Charlie Murray, and Harry Langdon. He produced several features with his brightest stars such as Ben Turpin and Mabel Normand. Many of Sennett's films of the early 1920s were inherited by Warner Brothers Studio. Warners merged with the original distributor, First National and added music and commentary to several of these short subjects. Unfortunately, many of the films of this period were destroyed due to inadequate storage. As a result, many of Sennett's films from his most productive and creative period, no longer exist. In the mid-1920s Sennett moved over to Pathé Exchange distribution. Pathé had a huge market share, but made bad corporate decisions, such as attempting to sell too many comedies at once (including those of Sennett's main competitor, Hal Roach). In 1927, Paramount and MGM which were Hollywood's two top studios at the time took note of the profits being made by smaller companies such as Pathé Exchange and Educational Pictures. So, Paramount & MGM decided to resume the production and distribution of short subjects. Hal Roach signed with MGM. But, Mack Sennett remained with Pathé Exchange even during hard times which was brought on by the competition. Hundreds of other independent exhibitors and movie houses of this period had switched from Pathe′ to the new MGM or Paramount films & short subjects. Silent film Love, Speed and Thrills (1915) directed by Walter Wright and produced by Mack Sennett. Running time: 14:12. A chase film in which a man (named Walrus) kidnaps the wife of his benefactor. But the so-called “Keystone Cops” are also chasing down Walrus. Sennett made a reasonably smooth transition to sound films, releasing them through Earle Hammons's Educational Pictures. Sennett occasionally experimented with color. Plus, he was the first to get a talkie short subject on the market in 1928. In 1932, he was nominated for the Academy Award for Live Action Short Film in the comedy division for producing The Loud Mouth (with Matt McHugh, in the sports-heckler role later taken in Columbia Pictures remakes by Charley Chase and Shemp Howard). Sennett also won an Academy Award in the novelty division for his film Wrestling Swordfish also in 1932. Sennett often clung to outmoded techniques, making his early-1930s films seem dated and quaint. This doomed his attempt to re-enter the feature film market with Hypnotized (starring blackface comedians Moran and Mack, "The Two Black Crows"). However, Sennett enjoyed great success with short comedies starring Bing Crosby; which were more than likely instrumental in Sennett's product being picked up by a major studio, Paramount Pictures. W. C. Fields conceived and starred in four famous Sennett-Paramount comedies. Fields himself recalled that he "made seven comedies for the Irishman" (his original deal called for one film and an option for six more), but ultimately only four were made. Sennett's studio did not survive the Great Depression. Sennett's partnership with Paramount lasted only one year and he was forced into bankruptcy in November 1933. On January 12, 1934, Sennett was injured in an automobile accident that killed Charles E. Mack in Mesa, Arizona. 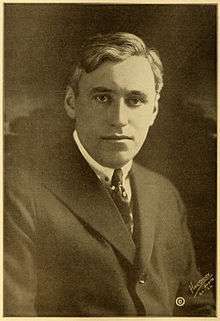 Mack Sennett went into semi-retirement at the age of 55, having produced more than 1,000 silent films and several dozen talkies during a 25-year career. His studio property was purchased by Mascot Pictures (later part of Republic Pictures), and many of his former staffers found work at Columbia Pictures. Rumors abounded that Sennett would be returning to film production (a 1938 publicity release indicated that he would be working with Stan Laurel of Laurel and Hardy), but apart from Sennett reissuing a couple of his Bing Crosby two-reelers to theaters, nothing happened. Sennett did appear in front of the camera, however, in Hollywood Cavalcade (1939), itself a thinly disguised version of the Mack Sennett-Mabel Normand romance. In 1949, he provided film footage for and also appeared in the first full-length comedy compilation called Down Memory Lane (1949), which was written and narrated by Steve Allen. Sennett was profiled in the television series This is Your Life in 1954. and made a cameo appearance (for $1,000) in Abbott and Costello Meet the Keystone Kops (1955). He last contribution worth noting was to the radio program Biography in Sound which was broadcast February 28, 1956. Mack Sennett died on November 5, 1960 in Woodland Hills, California, aged 80, and was interred in the Holy Cross Cemetery in Culver City, California. A line in a Henry Kuttner science fiction short story "Piggy Bank" reads "Within seconds the scene resembled a Mack Sennett pie-throwing comedy." Sennett also was a leading character in The Biograph Girl, a 1980 musical about the silent film era. Joseph Beattie and Andrea Deck portrayed Mack Sennett and Mabel Normand, respectively, in episode 8 of series two of ITV's Mr. Selfridge. ↑ "Give Citizenship to Mack Sennett". Retrieved 2010-04-23. ↑ "Mack, Comedian, Killed In Crash. Moran, His Partner in Blackface Skits, Escapes Injury in Arizona Mishap". New York Times. Associated Press. January 12, 1934. Retrieved 2015-03-22. A motor-car accident caused by a tire blowout tonight brought death to Charles E. Mack of the famous 'Two Black Crows,' vaudeville team of Moran and Mack, partners for many years, and injured Mack Sennett, former producer of 'Bathing Beauty' film comedies. ↑ Thomas, Bob (1954). "Sennett Takes Sentimental Journey in Past at Reunion". Panama City News, March 12, 1954. 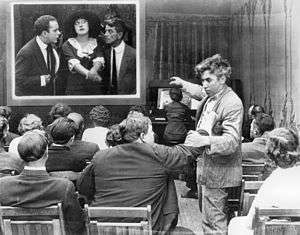 Retrieved from Looking for Mabel Normand on 2012-02-03. ↑ A Treasury of Great Science Fiction, vol. 2, Anthony Boucher (ed.) Doubleday & Co., 1959.